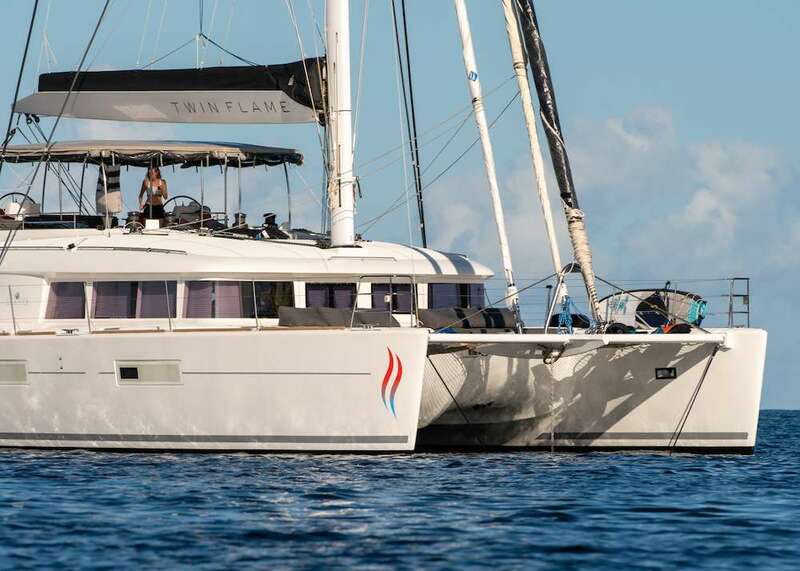 SPLIT SECOND is a beautiful 2014 Lagoon 62. 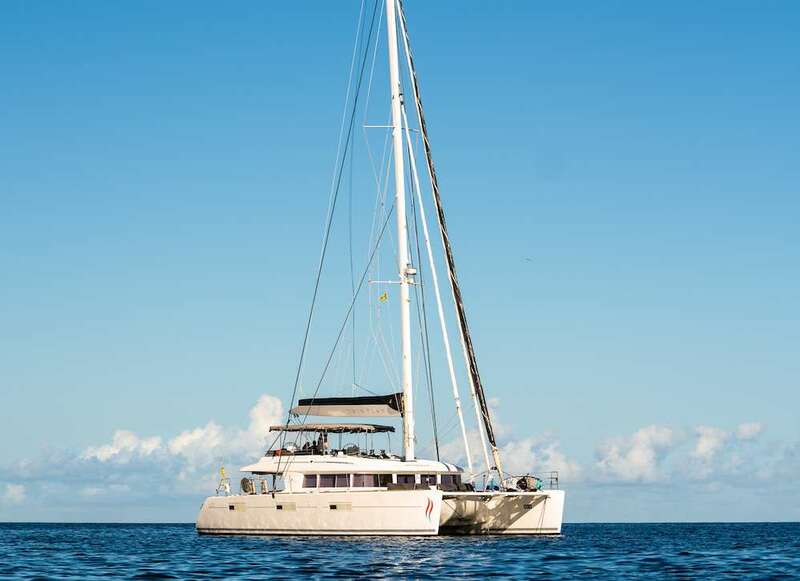 She sleeps 8 guests in 4 cabins. 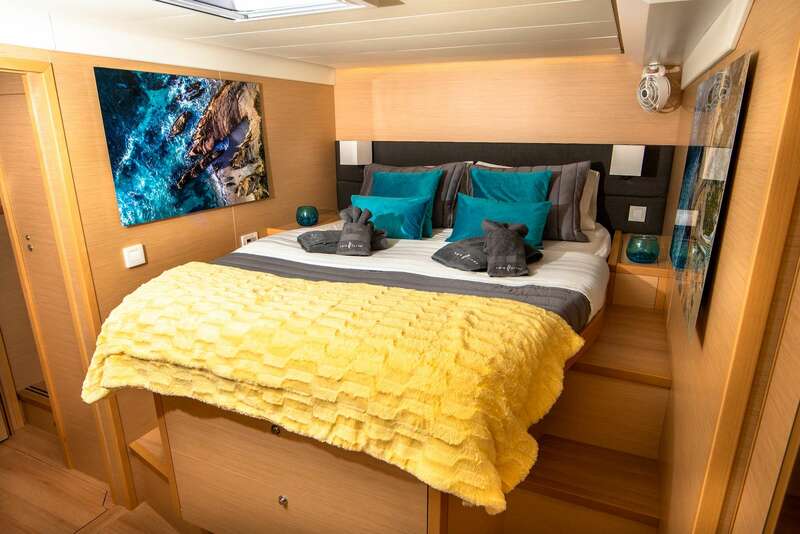 Master cabin suite includes seating/lounge area and desk, queen size berth, large glass shower stall and separate vanity area and offers direct access to aft deck for slipping out to gaze at the stars and take a midnight dip off the stern. 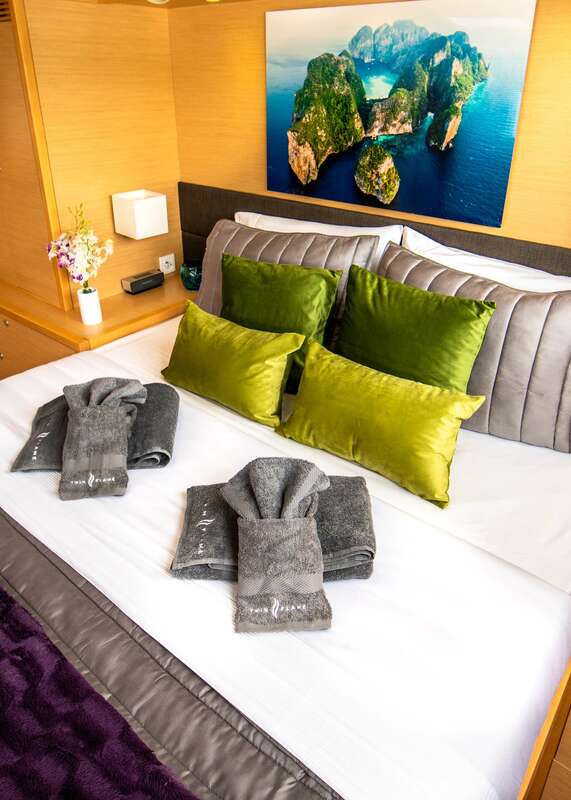 The master suite also has direct private access to the main salon. 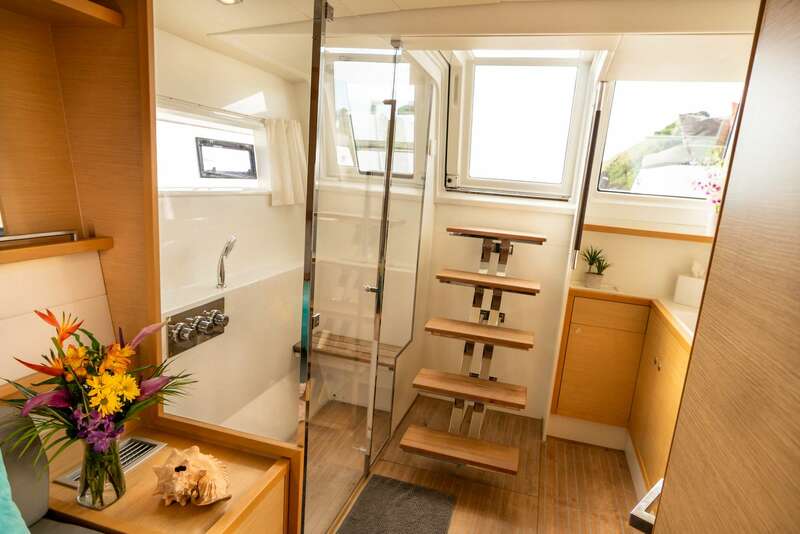 The other 3 spacious guest cabins each offer a queen size berth, stall shower, electric toilet and vanity. 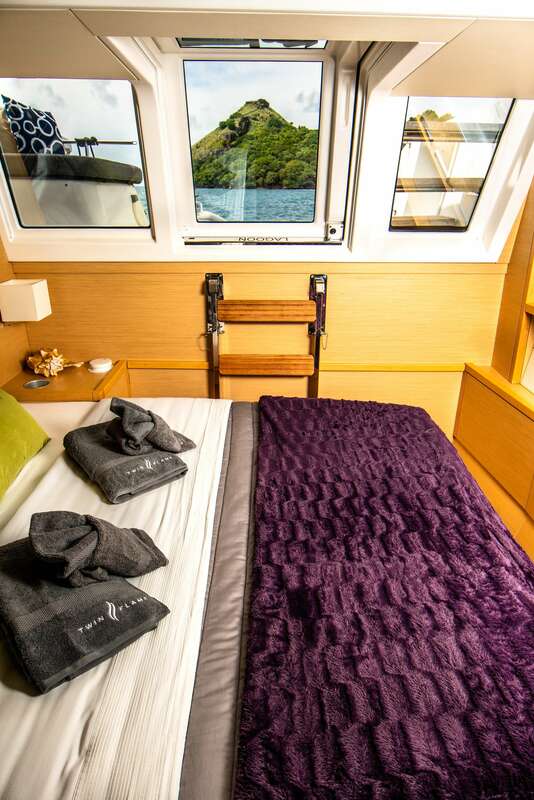 All cabins have individual a/c controls for guests comfort. 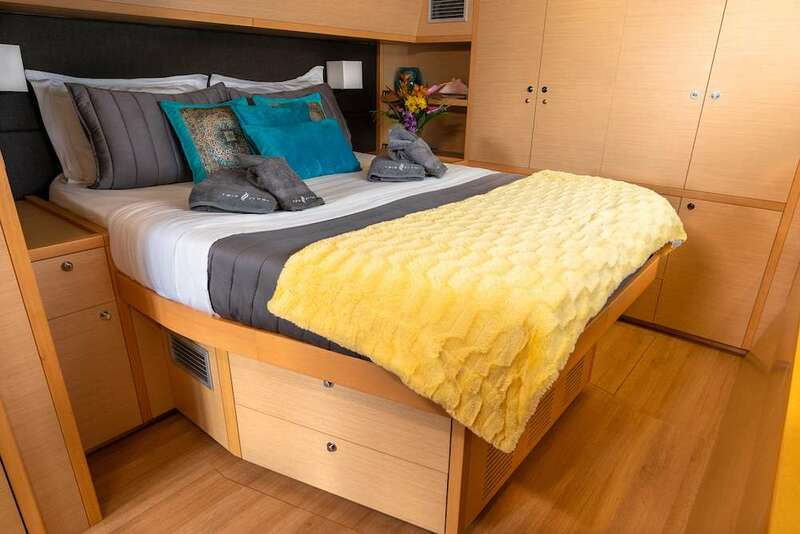 CREW has separate cabin with bath, and if cliet desires use of the twin bunk cabin, the crew will use one of the queen cabins for the charter. 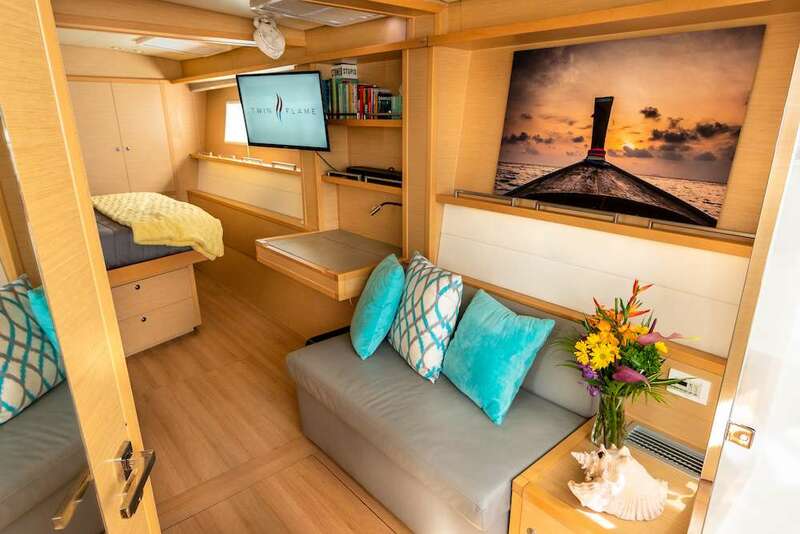 Top flybridge lounge is extremely spacious and offers a 360 degree view and amazing breeze. 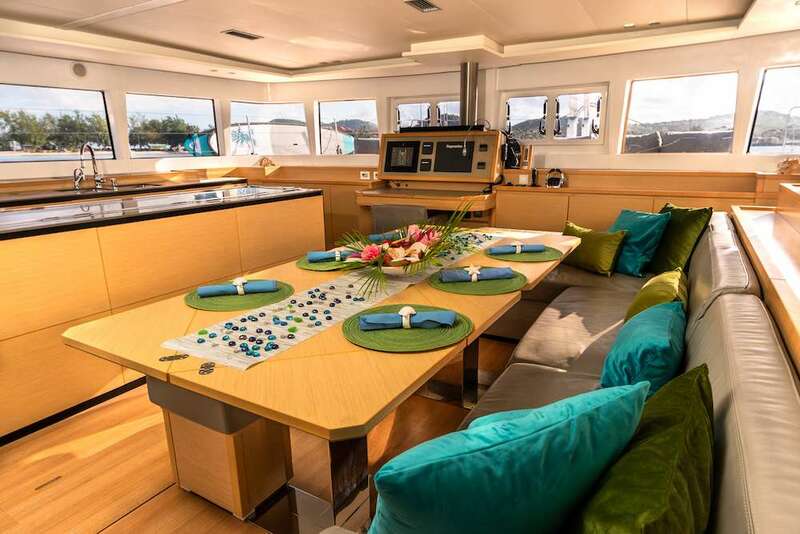 Aft deck offering alfresco dining and lounging area and the main salon offers lounging area plus formal dining.